Alcatraz was once the most menacing prison on the face of the planet. Escaping from it was deemed impossible. 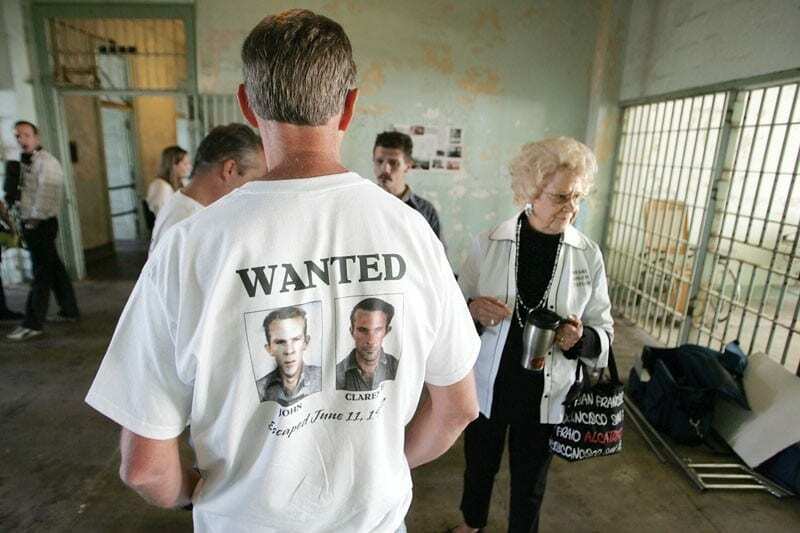 At least 36 inmates had attempted to escape in the past but none had ever survived. That all changed one day in June 1962. 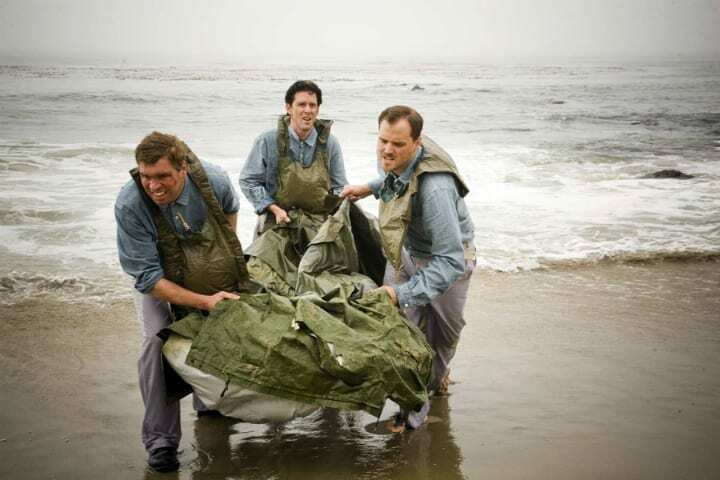 A group of three men plunged into the tumultuous waters of the San Francisco Bay on their route to escape “The Rock”. Their fates were unknown until the police received a mysterious letter in January 2018 that changed everything and forced the FBI to re-open their investigation. 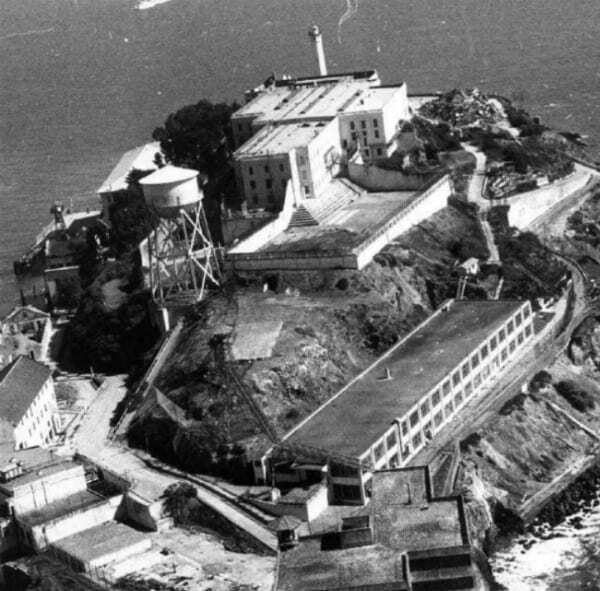 Read on to learn more about the amazing real-life great escape from Alcatraz and what really happened to those that managed to escape. 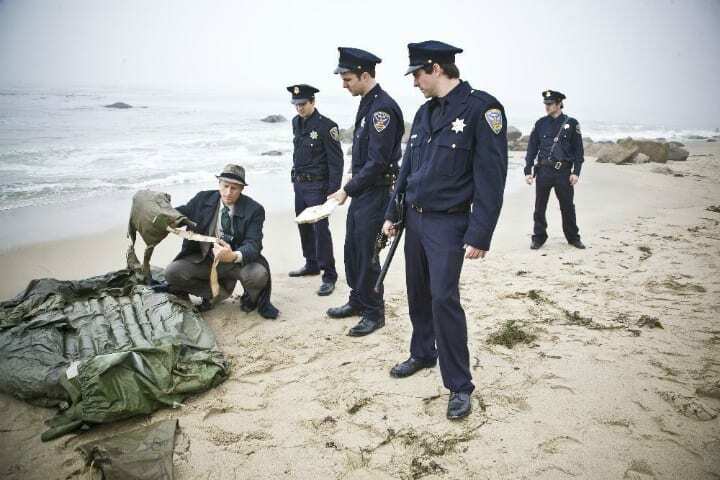 The case of the Alcatraz escapees left all levels of law enforcement stumped for decades. But suddenly, the letter writer was claiming he could finally reveal what really happened that fateful night. 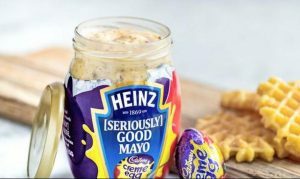 Could this really be trusted? Would the years-long mystery finally come to an end? Alcatraz was notoriously regarded as the toughest prison on the planet until it closed in 1963. 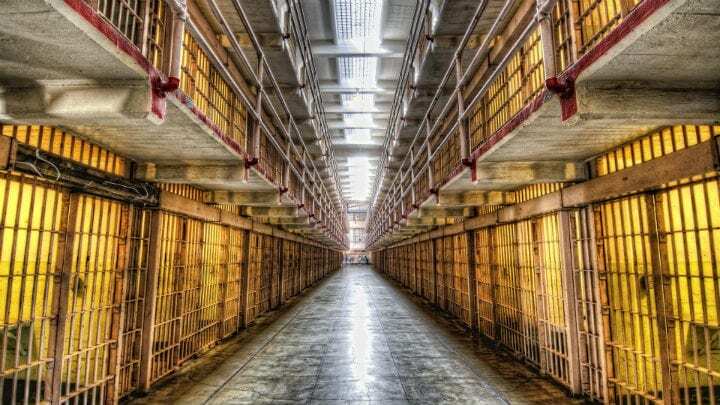 The maximum-security prison was designed to make it impossible for the worst of the worst criminals to come in contact with the rest of society. Many Alcatraz prisoners had tried and failed to get off the island over the 29 years that it served as home to a maximum-security prison. 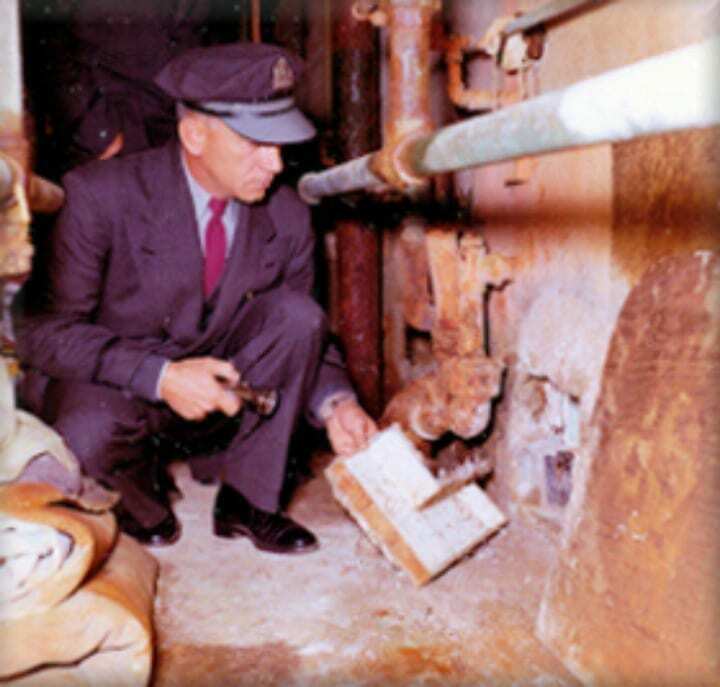 What made the infamous Alcatraz escapees so special that they could break past the toughest security procedures of the time? The escape plan itself was simple. The means to do it, however, would be near impossible and require the coordination of an entire team to pull off. It was not the first time prisoners attempted something like this. 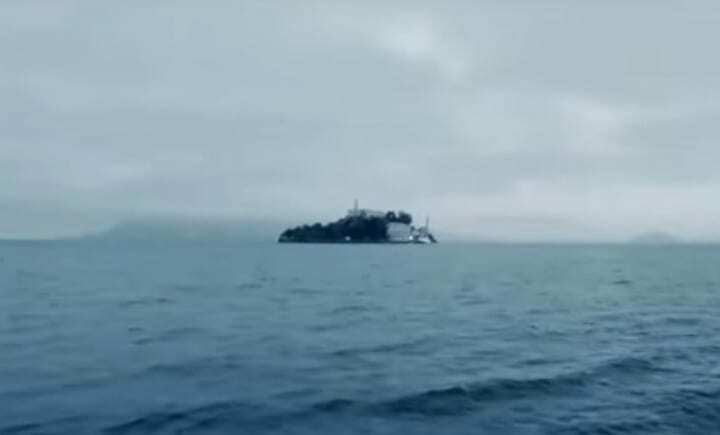 Dozens of inmates had tried to escape from Alcatraz before, so how would this be different? 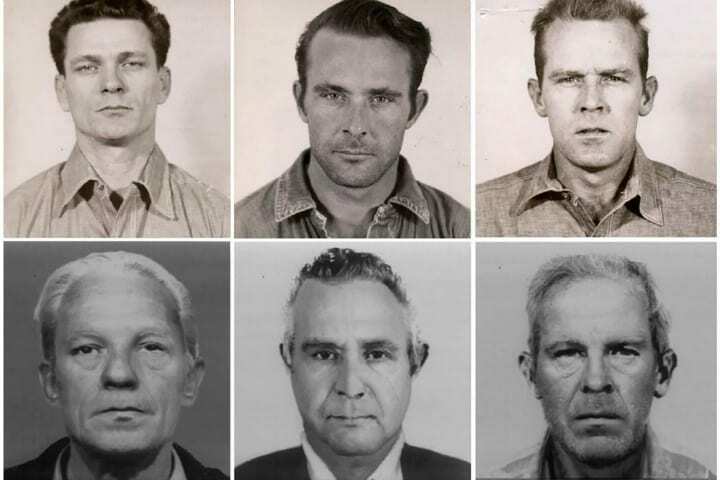 The members of the group planning this most famous escape were brothers John and Clarence Anglin, Frank Lee Morris, and Allen West. 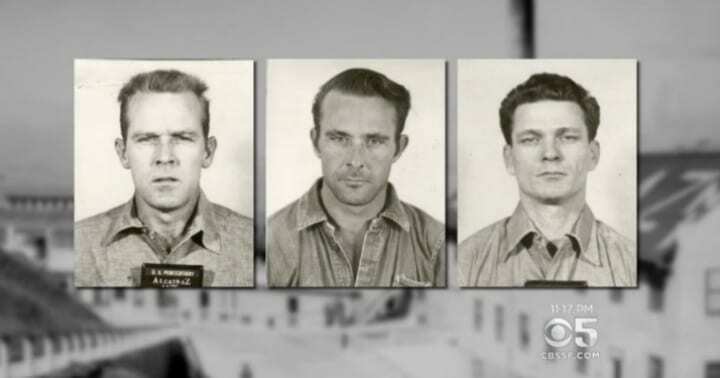 The four men also had cells near each other during their time spent in Alcatraz and plenty of time to come up with a master plan to get out. 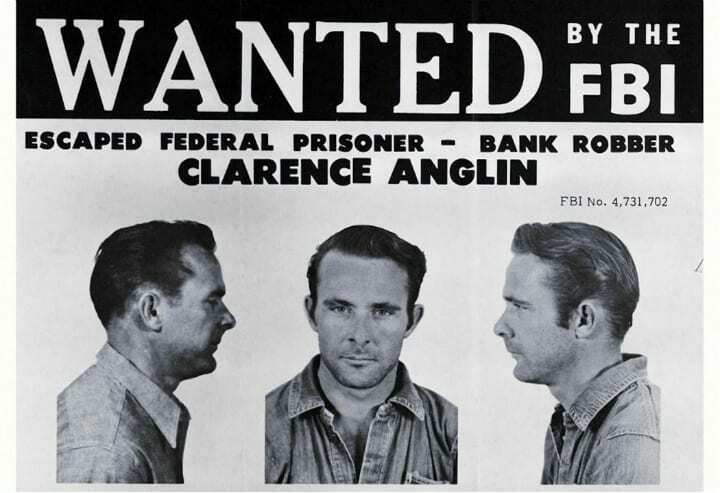 It is known that John and Clarence Anglin knew Frank Lee Morris from their prison time in Atlanta. Now at Alcatraz, the plan would take all the courage they could muster and all the resources they could get their hands on. 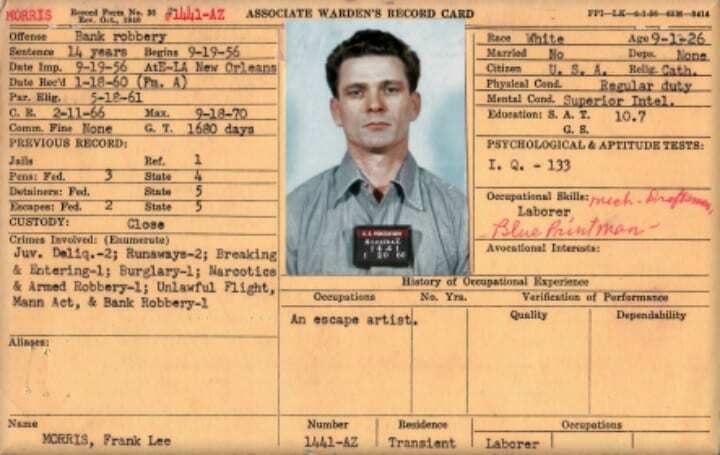 Frank Lee Morris was a criminal mastermind and had escaped from prison before. He was cunning, skilled and highly intelligent. Orphaned at the age of 11, he jumped from foster home to foster home and learned how to be independent and take care of himself. 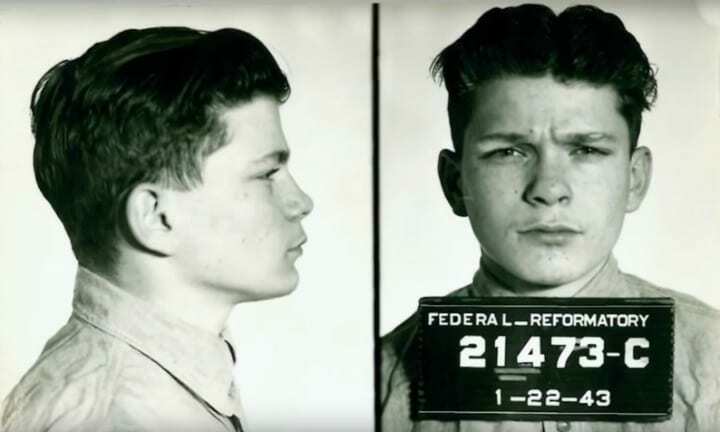 But Morris was also a troublemaker, having been convicted of his first crime at the young age of 13. He was destined for greatness, but not in the way anyone would have expected. His name went down in history books for being the ringleader of the Great Escape from Alcatraz. 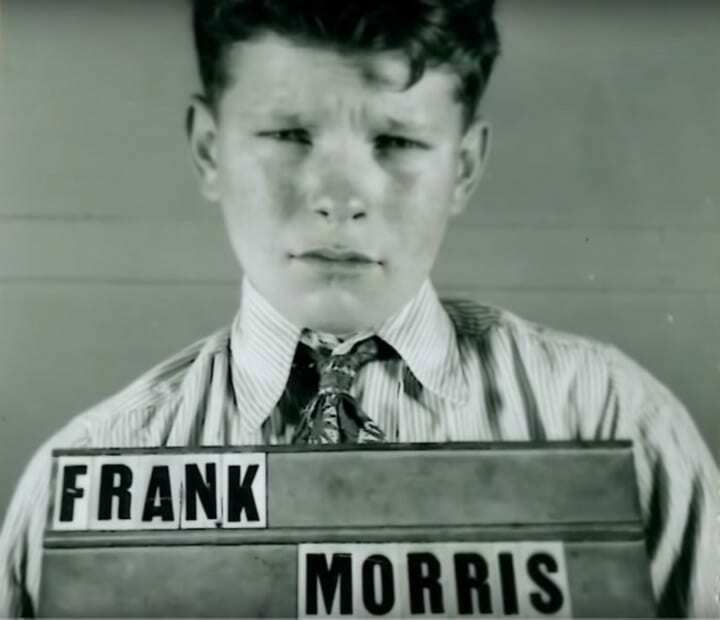 As an adult, Frank Lee Morris served prison time in multiple states and eventually landed in the Louisiana State Penitentiary, nicknamed “Alcatraz of the South.” But as daunting as that sounds, Morris had something quite impressive in store for them. Frank Lee Morris was serving 10 years in the prison for bank robbery but then he did the unimaginable: he escaped! He was on the run for around a year before he was caught while committing a robbery again. From there, he was sent back to prison, but this time to the infamous Alcatraz. As with any good escape though, you need a team. 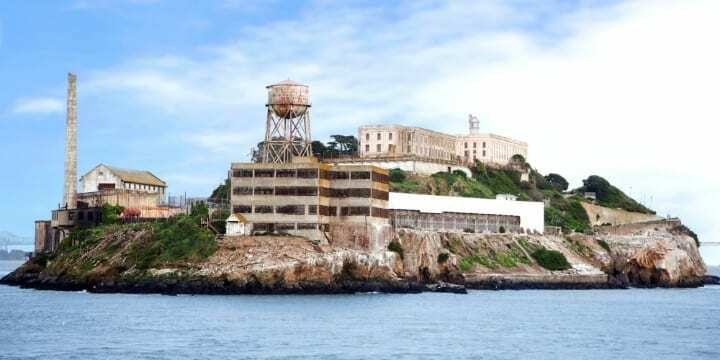 Frank Lee Morris found that team when he landed at Alcatraz, also known simply as, “The Rock.” The team consisted of two brothers named John and Clarence Anglin, and a man known as Allen West. The Anglin brothers were born in Georgia and their family moved to Florida for work. Their parents were seasonal farm workers, going wherever they were needed. Every June the entire family (they were just two out of the 13 children) would go north for cherry picking and this would come in handy in order to escape from Alcatraz. 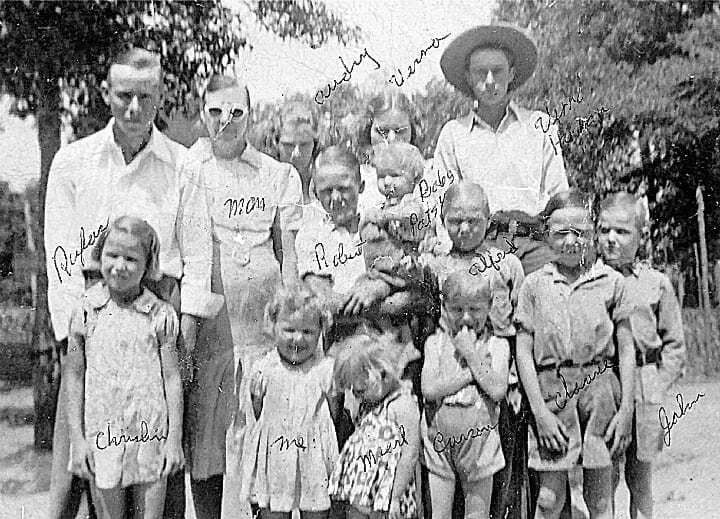 John and Clarence Anglin were thick as thieves growing up, and even more so, literally, during their adult years. As children, their family would go north for cherry-picking season, occasionally going as far north as Michigan. During those seasons, the brothers would swim in the waters of Lake Michigan and were reportedly very skilled at swimming in general. 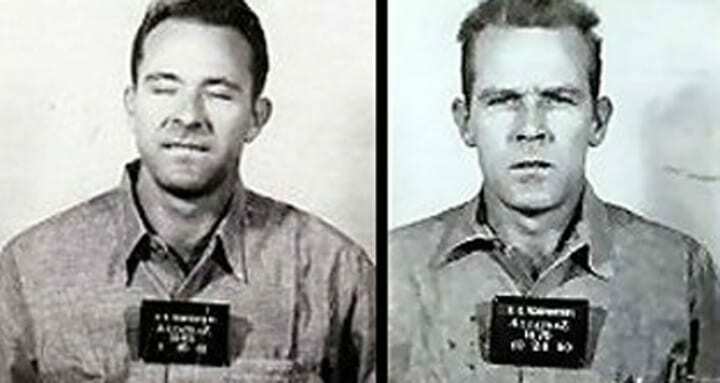 During their time at the Atlanta Penitentiary, the Anglin brothers attempted to escape the prison numerous times, which resulted in them being sent to Alcatraz, a maximum security prison. 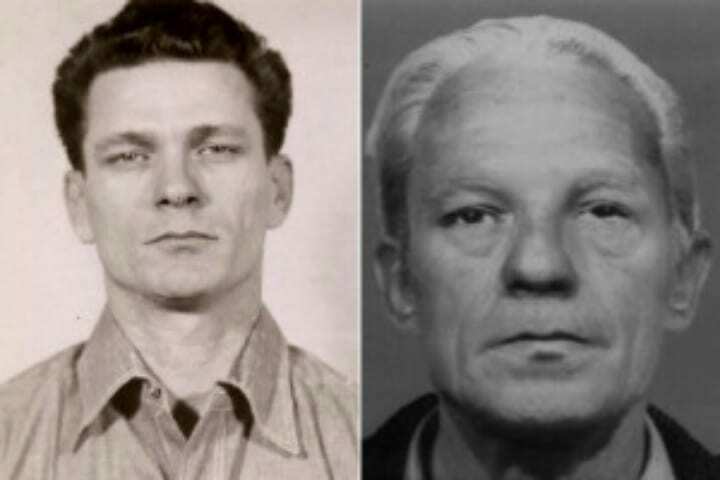 There they met Frank Lee Morris, the mastermind of the group. Luckily for the team, Alcatraz wasn’t just a prison, it was also a factory. At the federal penitentiary, inmates worked and at “The Rock” there was a substantial amount of resources to be had. 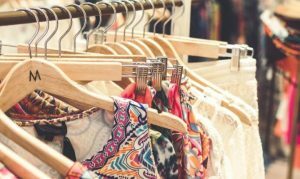 The prison served the US military, making furniture, clothes and shoes. The group of four was also lucky because they were among the very few criminals in Alcatraz that were incarcerated for non-violent crimes. This meant that they they were slightly under the radar and the ever-watchful prison guards paid slightly less attention to them. 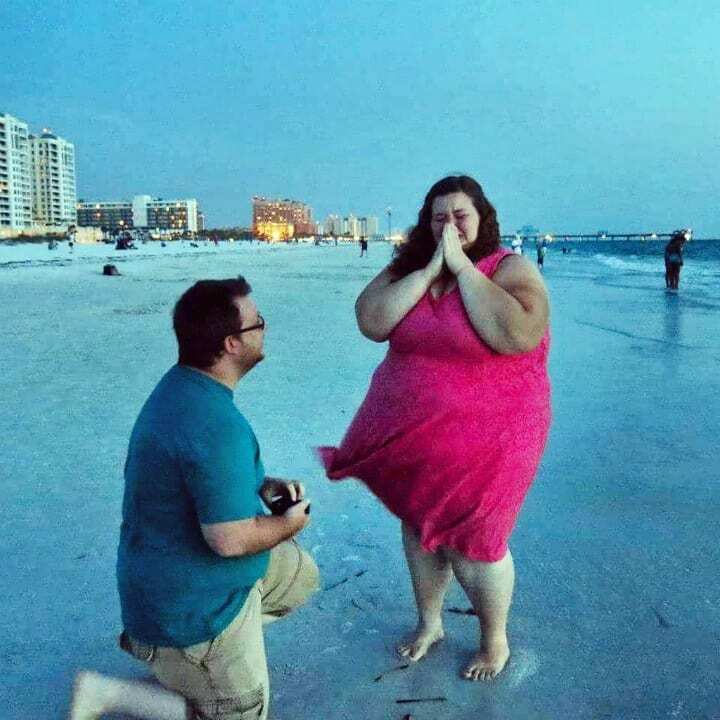 The gang started putting their plan into action slowly. It was highly complex and even ingenious, some would even say. Not only were they going to escape from the impenetrable Alcatraz, they were also going to leave behind human-like dummies. They would also have to devise a way to get off the island once out of the prison and avoid any guards. The guards on Alcatraz were not as forgiving as today’s prison guards. Any attempt to escape would be met with bullets. 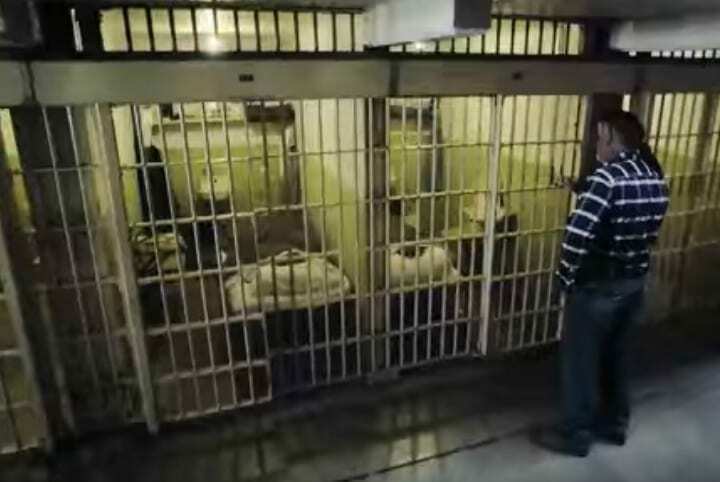 The team members each had their own responsibilities, on top of making sure they were able to get out of their cells on the night of the escape. 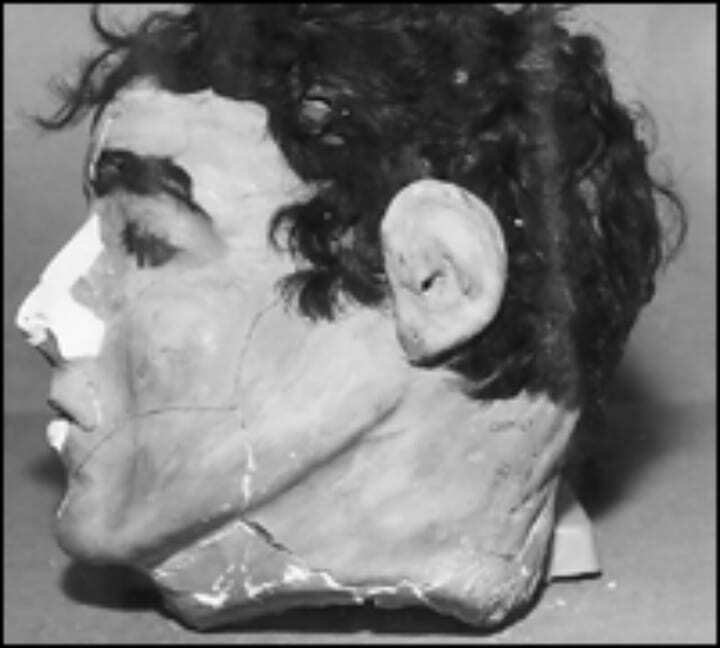 The Anglin brothers were in charge of making dummy heads to leave behind in the gang’s empty beds. 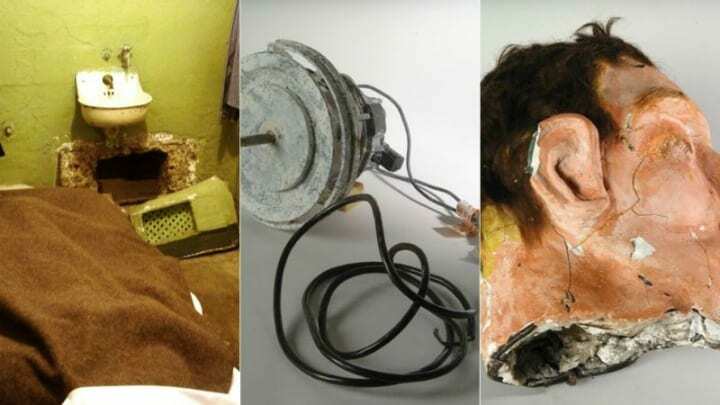 They fashioned the heads crudely but efficiently out of soap wax, toilet paper and real human hair stolen from the barber shop in Alcatraz. Morris was in charge of modifying an accordion-like instrument to inflate the raft and life vests. Together, the team also had to make tools to dig out of their cells and unscrew bolts on the vents. They were amazingly able to make picks and wrenches out of everyday items they managed to steal, such as spoons from the cafeteria and wood from the workshop. Every day from 5:30 PM until around 9 in the evening they would work away at chipping away holes large enough to crawl through. They removed the vents in their cells and used the picks to chisel the holes larger. Good news for the gang was that the prison was already old and crumbling in many places. 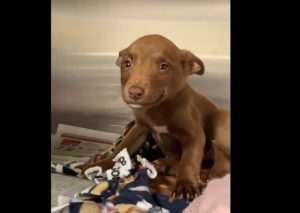 Saltwater ran through pipes for showering and washing dishes but ultimately destroyed the pipes and leaked into the prison walls, creating a fateful reality. Over time, the salt water eroded the cement, which eventually made it crumble and loosen. The water was also slightly warm, so that the prisoners wouldn’t get used to the cold water, like the frigid waters in the San Francisco Bay. You’re probably thinking that someone surely would have heard all that banging and chipping away. Well, they didn’t. Thanks to prison reforms in the early 1960s, inmates were allotted a music hour that created a cacophony of noise throughout the prison. Morris played his accordion loudly whenever possible and the noise was enough to cover up any sound the chipping away at the cement could make. Behind the cells, where the holes led, was an unguarded utility corridor with pipes leading up and down. The utility corridor was basically an unguarded jungle gym. If they could get the holes in their cells wide enough, they would easily be able to climb up three floors to the roof. From there they would just have to pray. Once at the top, they would have to get one of the large shafts open to get onto the roof. Many of the shafts, to their dismay, were cemented shut. But they eventually found one that wasn’t cemented and were able to use their wrench to get it open. 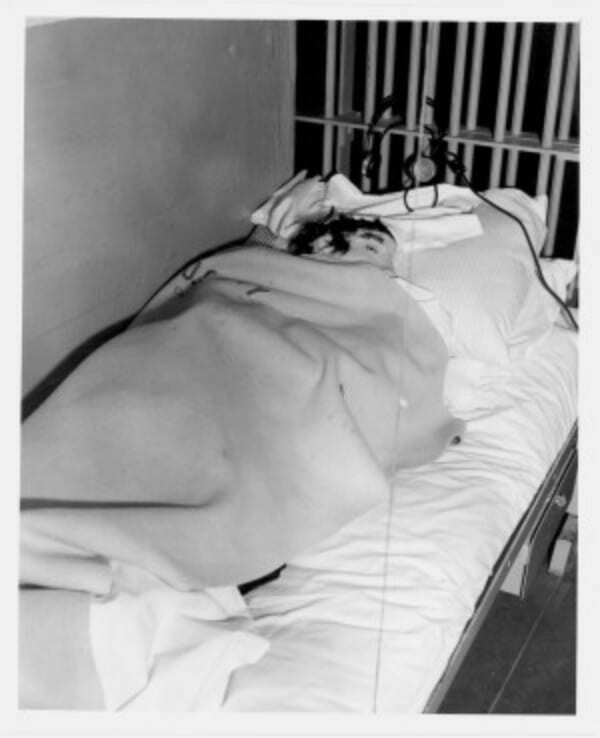 By May of 1962, both of the Anglin brothers and Morris had broken through the walls in their cells. The holes they’d burrowed were barely big enough for them to squeeze their bodies through, but that was all they needed. They were able to make the raft and life vests by gluing and stitching raincoats together. In total, they used over 50 raincoats to create the items. And they were certainly necessary, otherwise the group would certainly drown in the bay. Now that everything was ready, all they needed to do was wait for Allen West to finish his escape hole and the entire gang would be ready to go at a moment’s notice. That signal finally came in June of 1962 but the plan wouldn’t work out like they thought it would. 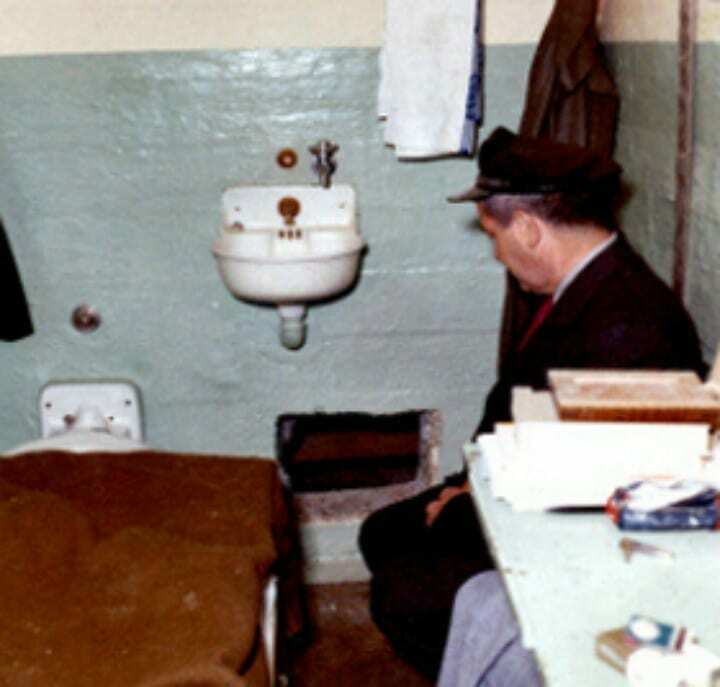 On June 11, 1962, Alcatraz prisoner Allen West gave the signal to the other members of the group attempting to escape, indicating that he had finally dug his hole large enough to get through. But what happened next, no one could have predicted. Promptly after lights out that same day, the gang set their plan of escaping from Alcatraz into action. But would any of them make it out alive? That was the question lingering in their minds. The prospect of living a free life, outside of prison was too enticing. They were prepared to do anything to get out of Alcatraz, even if that meant risking their lives. Adrenaline was pumping through their veins that night just at the thought of getting out. After the light went out that night they quickly moved to set their decoys and get out of their cells. The Anglin brothers and Morris got out of the cells easily but Allen West was having difficulty. Even though he informed the group that his hole was finally big enough to get out, he apparently misjudged the size and ease of making the hole bigger. 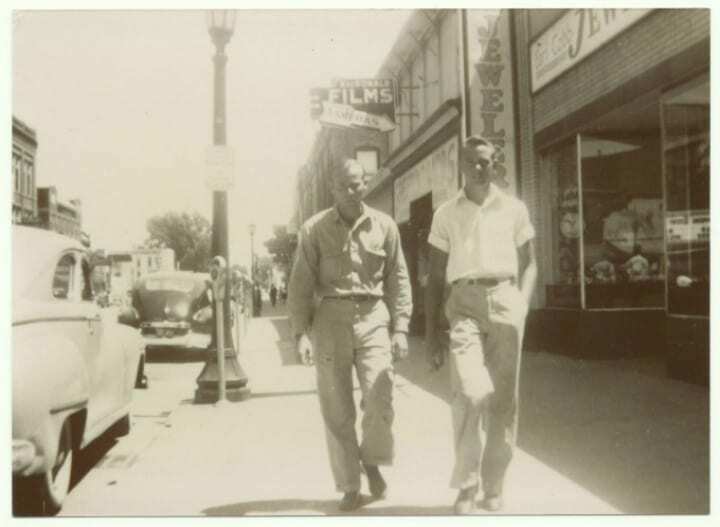 Frank Lee Morris tried to help West all he could, but the cement just wouldn’t budge. At around 9:30 PM, Morris asked for West to pass him a glass of water. Then they came to the conclusion that West would have to be left behind. Leaving a member of the team behind couldn’t have been an easy decision, especially after working together for months. 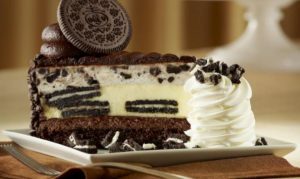 But the group wasn’t left with many options. If they made too much noise trying to widen the hole in West’s cell, they would have certainly drawn the attention of the guards. So West took one for the team. And he might have even helped by making the raft lighter with one less person. From there the group of now three men started their climb. They climbed up 30 feet of plumbing in the utility corridor. Morris and the Anglin brothers made it to the cell house roof rather easily. With their hearts pounding they continued and crossed at least 100 feet of rooftop and then started their descent. The three climbed down 50 feet of piping on the side of the building to the ground. The landed on the ground close to the shower area and silently snuck past the guards. The gang of three managed to outsmart all the guards in their guard posts and finally made their way to the shore, where they would need to stop to inflate their raft and life vests. That was the last anyone ever saw Frank Lee Morris or John and Clarence Anglin again. They set off in their makeshift raft at around 11:30 at night and were never heard from again. It wasn’t until the morning that they were discovered missing. 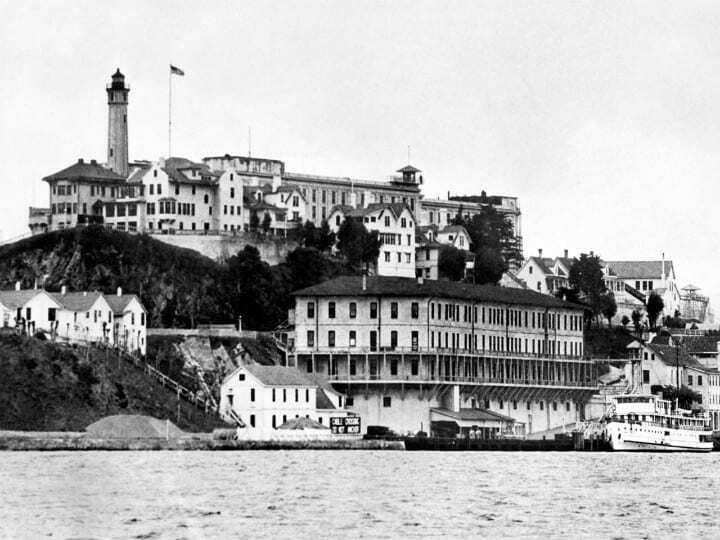 In the early morning, all the residents of Alcatraz were woken up to blaring sirens. Most of them were confused. 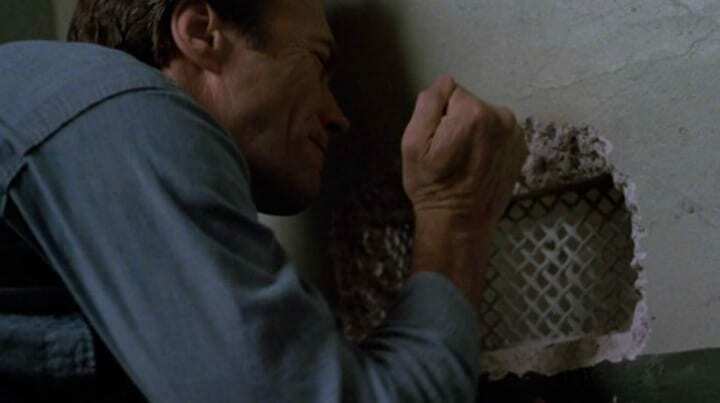 Surely no one had attempted to break out of “The Rock.” It was impenetrable. But as they would soon find out, three inmates did in fact escape. Allen West might have been left behind, but he still hadn’t given up. He continued to work on getting the hole in his cell large enough to squeeze through and he eventually succeeded. Delighted, he ran after the other three. West managed to get out of his cell and climb to the rooftop, but by the time he got there the other three were already long gone. He was faced with the decision of either trying to swim to safety, a feat that would have killed him, or going back to his cell. Allen West reluctantly came to the conclusion to return to his cell and wait until morning when it was discovered that the three other inmates had escaped. In the morning, the alarms were sounded and the entire prison was on the search. West cooperated with authorities and told them everything. Was everything he said true? We may never know. According to him, the other three were headed to Angel Island and once there they would steal a car, steal some clothes and separate. There was one issue with that though. 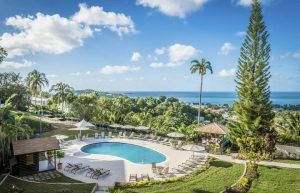 No such car robbery had been reported in the area, not within a twelve-day period after the escape. So either they landed somewhere else, either by mistake or on purpose, or Morris and the Anglin brothers didn’t make it. West also told authorities that the entire scheme had been his idea and that he was the mastermind behind the genius escape. The FBI was called in and a formal investigation was opened to look into whether the trio survived or not. After several long searches, no bodies were found, although personal belongings were found floating in the bay waters the next day. The temperature of the waters during the night of the escape were around 50 to 54 degrees. The San Francisco Bay is known for its chilly waters no matter the time of year. 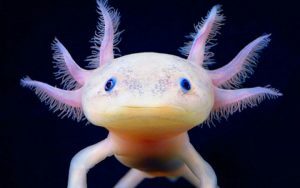 Experts determined that a human adult male could have survived for around 20 minutes in the cold waters before body functions would begin to deteriorate. The inmates also wouldn’t have been acclimated to the icy waters, as the water in the prison was intentionally kept at a warm temperature. Around one month after the escape, a Norwegian freighter reported the sighting of a body about 17 miles from the Golden Gate Bridge. 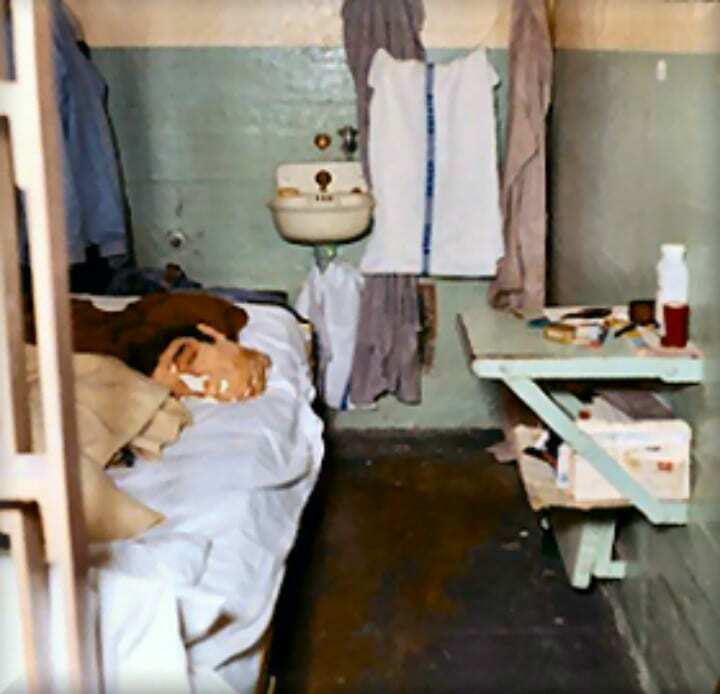 The body was reportedly wearing clothing similar to those worn by Alcatraz prisoners. But the report was filed late and the body was never found. Investigations continued for years fruitlessly and the FBI investigation was eventually closed on December 31, 1979, 17 years after the escape. 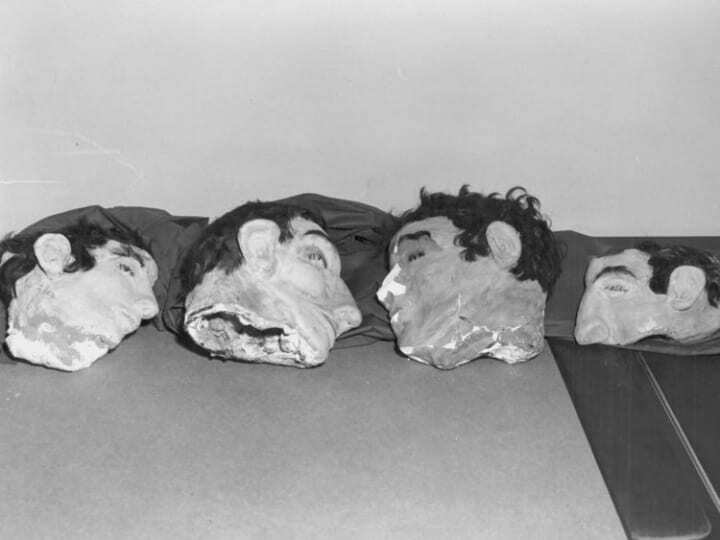 The FBI concluded at the time that the inmates most likely drowned in the San Francisco Bay. However, clues contrary to this would pop up over the years. The History Channel revealed in a 2015 documentary further evidence that the Anglin brothers had successfully escaped. 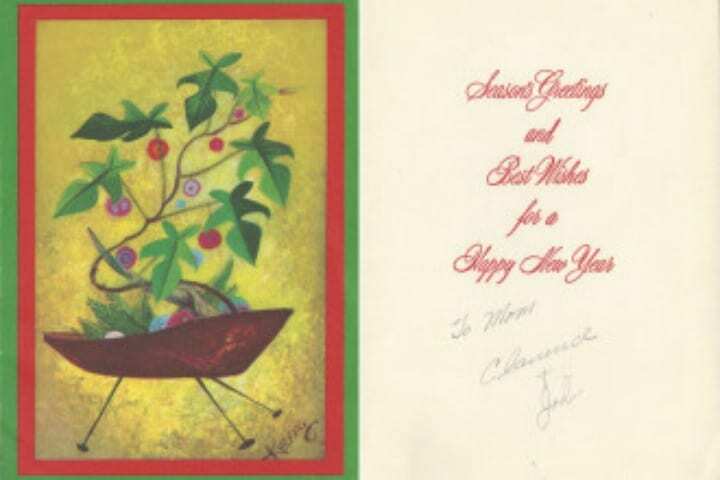 For example, the family had received signed Christmas cards and the handwriting was confirmed to be theirs. But the date of their delivery couldn’t be determined. 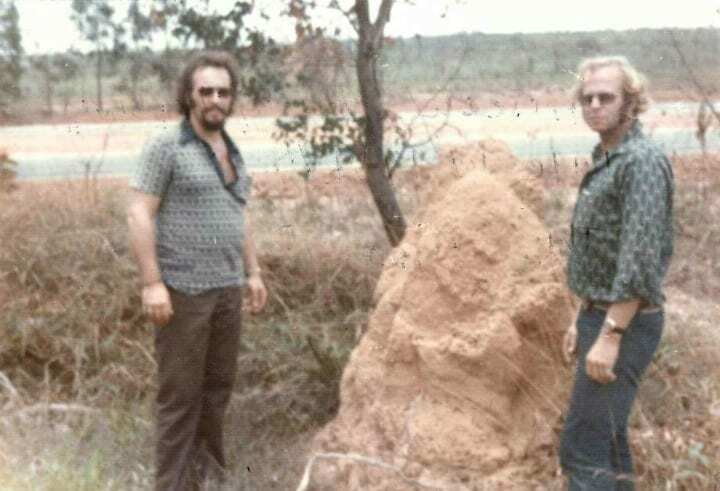 The Anglin family also presented a photograph of the two brothers taken in Brazil in 1975. 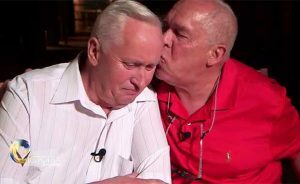 Forensic experts analyzed the picture and concluded that it was “more than likely” John and Clarence Anglin. However, that wouldn’t be the last development in the saga. 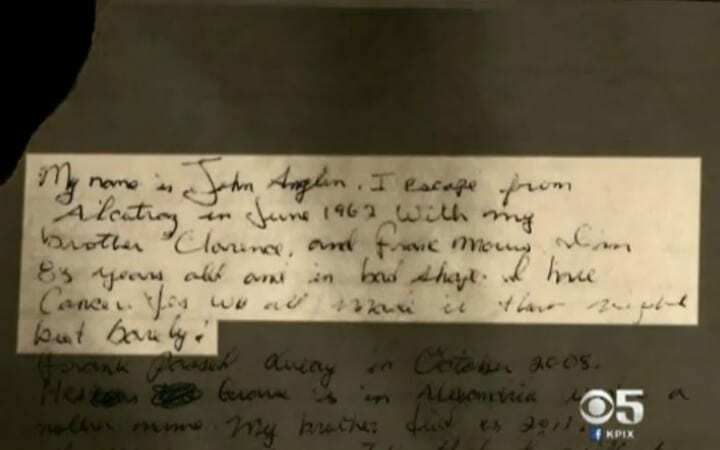 Another piece of evidence eventually emerged pointing to the possibility that the escape was a success; and that was a deathbed confession by one of the Anglin siblings, Robert. He confessed that he had in fact been in contact with John and Clarence from 1963 through 1987 but eventually lost contact. 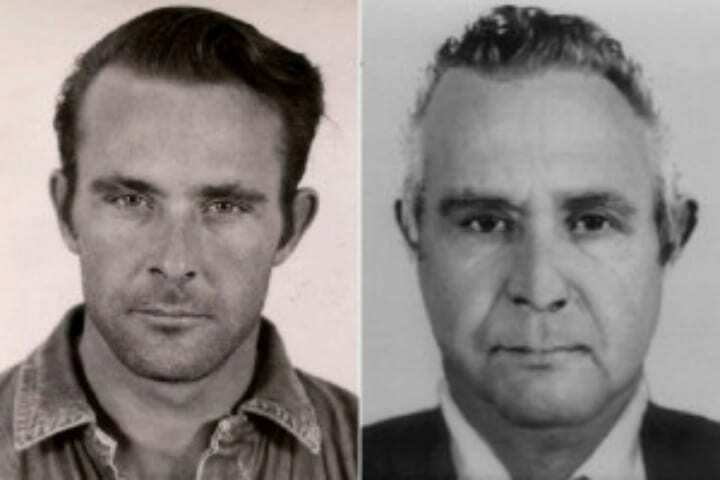 Members of the Anglin family have been deterred from searching for their missing sibling in Brazil because the great escape from Alcatraz still remains an open Interpol investigation. Should they be found, many question could perhaps be answered, however, they would face a severe punishment. 32. Where Has He Been? 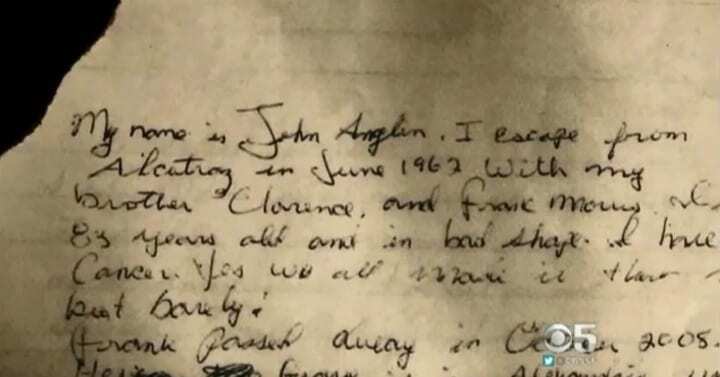 Further down in the letter, the writer claiming to be John Anglin revealed where he had been living in since he allegedly managed to escape from Alcatraz. “This is the real and honest truth. I could tell you that for seven years of living in Minot, North Dakota and a year in Fargo”, North Dakota until 2003. 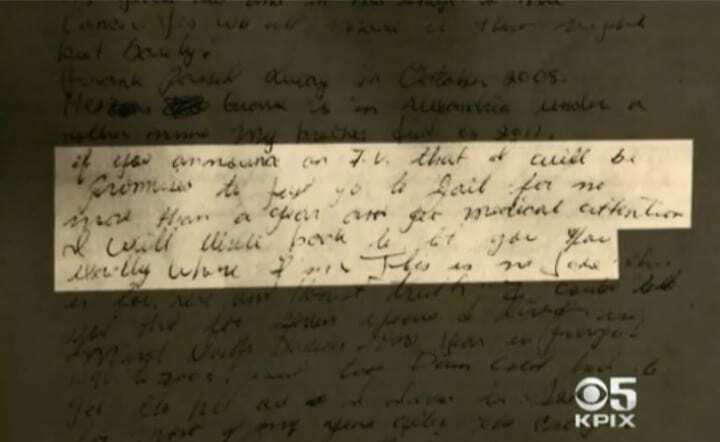 Parts of the letter were illegible but a report by the BBC interpreted the writing to say that he had lived in Seattle “for most of my years after the Escape.” The next piece of information in the letter proved to be a real bombshell. 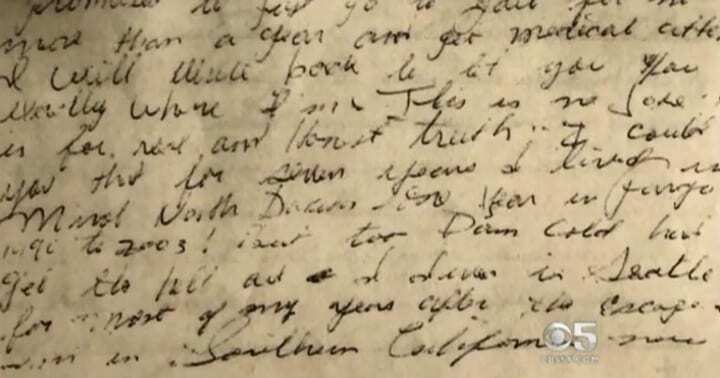 The letter supposedly by John Anglin ended by simply saying “Living in Southern California now.” Could it really be that a criminal who pulled off one of the most daring escapes in history was residing just a few hours away from San Francisco? The letter writer, who claimed to be John Anglin, was in very poor health and was incredibly desperate to get help, even if it meant going back to jail. After this, the letter tried to negotiate an extremely unconventional deal with law enforcement. Would they agree to the letterwriter’s terms? Before any terms could be made, law enforcement first had to investigate the letter itself. 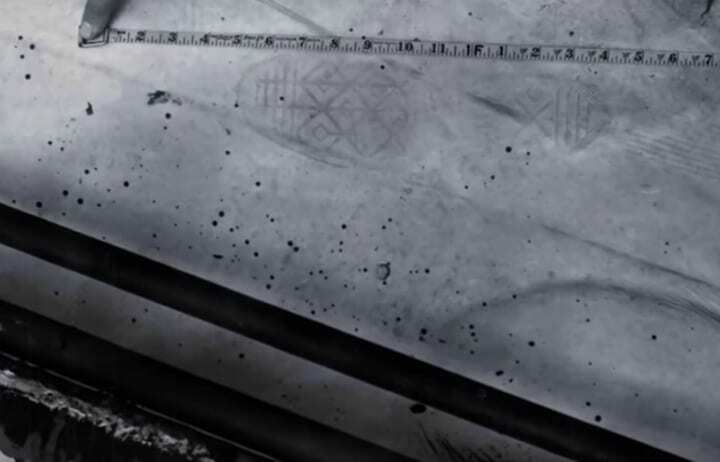 First, they had to look into all the details of the letter itself and do careful analysis to see if any more information could be gleaned from every facet of it. According to the US Marshals, the FBI lab took the letter and carefully examined it for any possibly traces of DNA left on the paper, checked for fingerprints, and also analyzed the handwriting, comparing it from writing samples from all three men when they were behind bars. What were the results? Local CBS television station in San Francisco, KPIX, which published the letter, reported that “the FBI’s results were inconclusive.” One of the station’s security experts deemed that the FBI’s response “means yes, and it means no, so this leaves everything in limbo.” in terms of the authenticity of the letter. The U.S. Marshals Service has said in the past “it is possible” that the three men survived after they escaped. Following the publication of the letter in January 2018, a representative from the Service told The Washington Post that they did not believe the letter was legitimate. The letter was only revealed publicly after a local CBS station in San Francisco, KPIX, revealed a copy of the letter from a source that could not be named. The U.S. Marshals provided a statement in response to the letter’s publication. 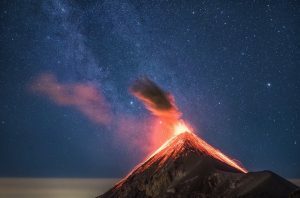 “There is absolutely no reason to believe that any of them would have changed their lifestyle and became completely law abiding citizens after this escape,” the statement read. Remember, the U.S. Marshals were the only ones who left the case open and continued to investigate the case, so their opinion definitely carries weight. Will we ever know what really happened? In 2014, a team of researchers managed to calculate, by use of a computer model, that if the three inmates left around midnight then the water currents would have been working in their favor and they would have likely survived. 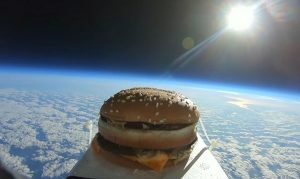 What really happened? “There’s an active warrant, and the Marshals Service doesn’t give up looking for people,” Deputy US Marshal Michael Dyke told NPR back in 2009. Indeed, there was more to be heard from the supposed people who managed to escape Alcatraz. 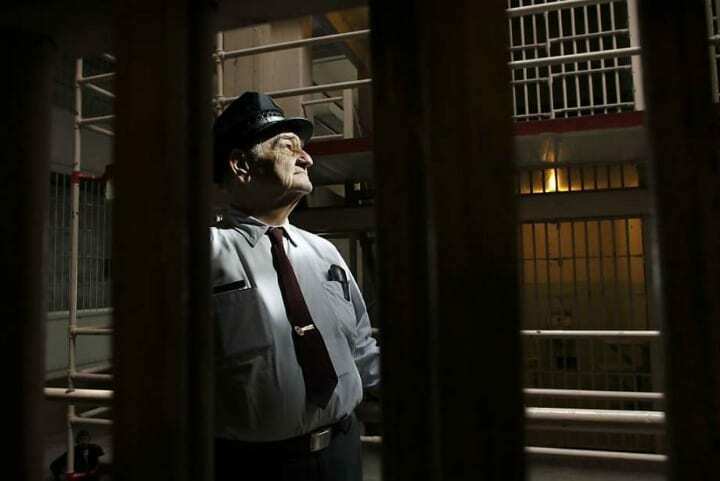 The last guard to leave Alcatraz, Jim Albright, gave a revealing interview with San Francisco’s local ABC affiliate ABC 7 in March 2018 in honor of the 55th anniversary since Alcatraz closed down. Since he was there at the time of the escape, he was asked whether he thought they drowned in the waters or survived, as the letter claims. “It depends on whether you’re talking to me or you’re talking to their mother. I believe they drowned, I really do,” Albright said in the interview. In his opinion, the letter writer claiming to be John Anglin is simply someone trying to get treatment for his cancer and not the authentic escapee. 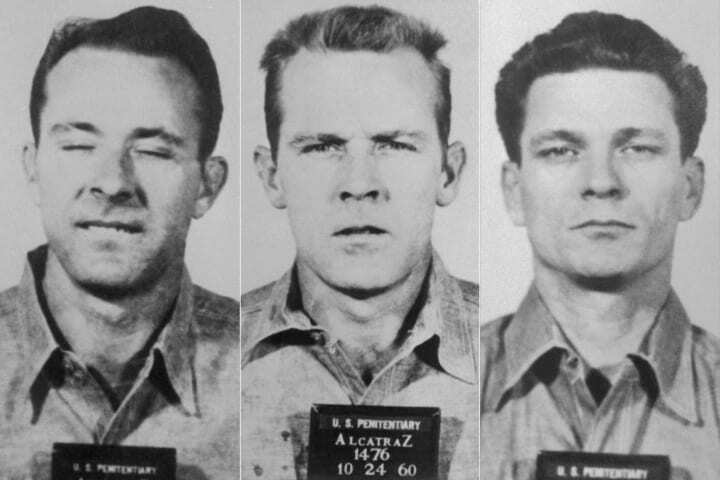 Still, to this day it is uncertain whether Frank Lee Morris, John Anglin and Clarence Anglin survived the fabeled escape from Alcatraz. It also remains unclear whether or not law enforcement ever contacted the true writer of the 2013 letter. If you enjoyed the real-life story behind the great escape from Alcatraz, please SHARE this article! !